Pakistani star batsman and king of T20 Cricket Shahid Afridi has called not buying any Pakistani players after adding them in auction not just the fun of Pakistani players but also the fun of Pakistani nation. 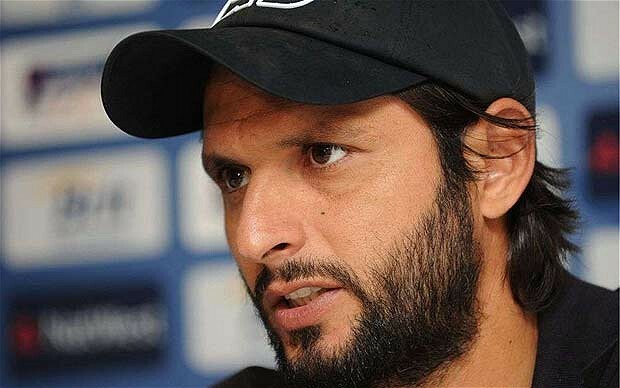 Shahid Afridi was really disappointed which this decision. Shilpa shetty owner of Rajhistan Royals said Pakistani players are not bought because of their unconfirmed presence for IPL. while Sohial Tanweer and Abur Razzaq said that the presence of Pakistani players was confirmed we are free next three months we also got Noc and allow to play from both of the government. they said that from this decision its looks like that Politics has even taken over Sports.